debitage: PETA, Detroit, and the problem with "Go Vegan"
PETA, Detroit, and the problem with "Go Vegan"
PETA is in the news again for offering to pay the water bills of 10 households in Detroit who have been threatened with shutoff -- on the condition that they go vegan for a month. It's the latest awful campaign in a string of awful campaigns from a vile organization that makes me embarrassed to be vegan. They're exploiting a real human tragedy as a publicity stunt. If PETA really wants to do something connected to the Detroit water crisis, why not say "we're paying these 10 families' water bills, plus giving them some groceries, because vegans care about everyone, human and animal." Just drop the coercive condition, and you've got a campaign that makes vegans look big-hearted rather than seeing people's tragedy as just a means to further an agenda. But without reducing the opprobrium rightly directed at PETA in particular, I'd like to suggest that this campaign reveals a problem with the approach of the vegan/animal rights movement more generally. At the core of this and so many other campaigns by a wide variety of organizations is the admonition for individuals to "go vegan." The central mechanism of social change sought by vegan activism is the individual choice to give up use of animal products. 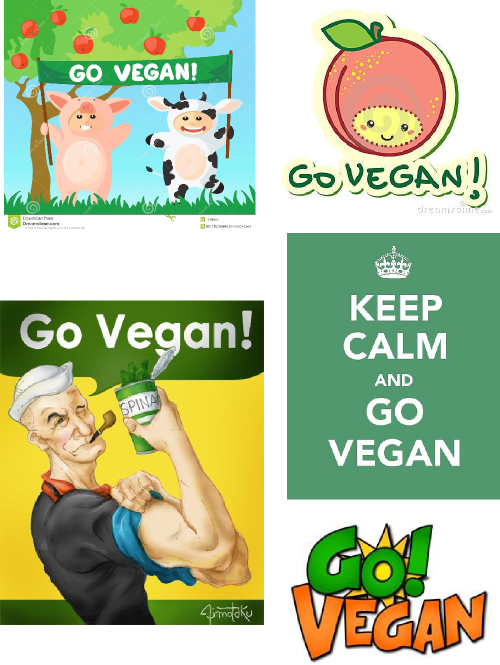 By making "go vegan" the center of the movement's strategy, modern veganism has turned animal rights into a matter of personal sin and purity. Eating meat is framed as an individual failing, and giving it up as an individual virtue. This fits neatly into a neoliberal world in which everything is a matter of personal choice and effort. Everyone should just pull themselves up by their faux-leather bootstraps. Despite vegans' typical lefty, feminist, pro-LGBT, etc. leanings, much vegan activism does not qualify as progressive (even the non-PETA stuff that isn't directly exploiting other forms of marginalization to advance veganism). But food is not simply a matter of choice. Food habits are shaped by deeply entrenched social structures, from cultural norms to land use planning to farm subsidies to trade policy to technology regulations. Change these, and individual eating habits will follow. And it's these larger structures of the food system, not the personal sins of individual meat-eaters, that drive the scale of animal (and human) suffering that vegans want to end. And it's changing these social structures that should be at the heart of vegan activism. When mainstream vegan activists recognize the structural issues, they typically do so in a way that assimilates them into the "go vegan" individualistic paradigm. So certain people are granted a sort of indulgence or special dispensation, forgiving them for not going vegan (or granting them extra merit points if they do it) because structural forces make it especially hard for them. But the central focus remains on admonishing those who can make the personal choice to go vegan to do so. The personal eating habits of poor Detroit households are not what is primarily responsible for animal exploitation in the USA. Indeed, their eating habits are as much an effect of the system as the environmental degradation that PETA claims to be worried about. The choice by a few such households to go vegan (made at much greater cost than a similar choice made by the typical middle-class PETA member) is not going to have much sway over the larger system. I'm not saying there's anything wrong with an individual deciding to "go vegan." I'm not intending to start consuming animal products, and all else equal it's a positive step when someone "goes vegan." 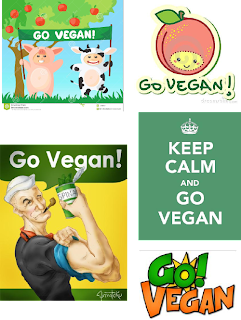 The problem occurs when "go vegan" is the central, or only, message being pushed by vegan activists.